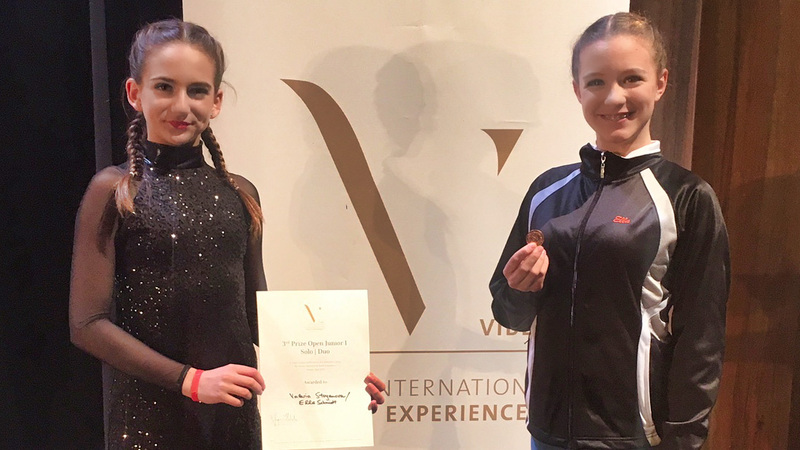 Valeria Stoyanova and Ella Schmidt successful at Vienna International Ballet Experience. Our schedule for 2018/19 is online! Thank you for the 15 years! Premiere “The Magical Maze” – a full success! Broadway Summer Splash 2018: Our workshop-program is now online! The Broadway Connection is wishing you great Easter holidays! The Broadway Connection wishes you great semester holidays! Joining our classes is still possible in the 2nd semester! The Broadway Connection is wishing you a Merry Christmas & a Happy New Year! Our Class Schedule 2017/18 is online! Toi, toi, toi & Break-a-Leg for the World Finals! Let’s keep our fingers crossed for our Competition Teams! Tickets for our Shows are now available at Theater Akzent! The Broadway Connection Website is Bilingual now! We are open on the 8th of December! Attention! No acting classes on the 2nd of December! Broadway Company – come to our audition! Apply now for our competition team and come to the audition! Ferienspiel – Dance Workshops for just € 2! Excited! Only a few days to go until the competition in Zell am See starts! What a Success at the European Championships 2009 in Klagenfurt!